Men an Tol | Pictures without film. This week on Friendly Friday, I am asking you to Re-visit your memories, places and experiences. The prompt ‘Re-visiting’ might mean something entirely different. It might simply mean a return to a place, but in another time. A ‘before’ and ‘after’ photo, of a project, from start to finish, or a time warp showing changes from one decade to another. Such as revisiting the changes from baby to child or child to adult. It might even be a place you wish to re-visit one day. The first photo is a place I have used a couple of times times this year for challenges, and I hope we will get to revisit there. ‘Walk beside the Nith’, Glencaple, Dumfries and Galloway, 2018. And the second is a place we almost always revisit when we go to Cornwall, at least once a year if we can. ‘At the Men-an-tol’, West Penwith, Cornwall, 2018. And both photos were revisited for the purposes of this challenge, in memory, and in reworking them. Cornwall – September 2018 [Day 1 – Eden Project. Day 2 – Rainy Porthleven. 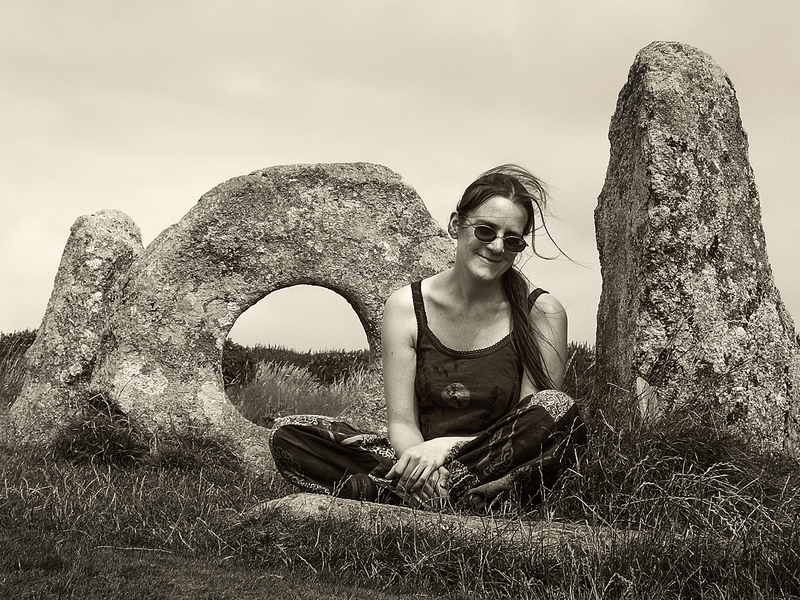 Day 3 – Chysauster, Merry Maidens, Sennen cove, Carn Galver, Lanyon Quoit at Full moon. Day 4 – Morning view, Helston Folk Museum, The Lizard, Men-an-Tol, St. Ives evening and night]. For those of you who are not friends on Facebook, here are some photos taken in September 2018 when we visited Cornwall. Day 1 – Eden Project. Day 2 – Rainy Porthleven. 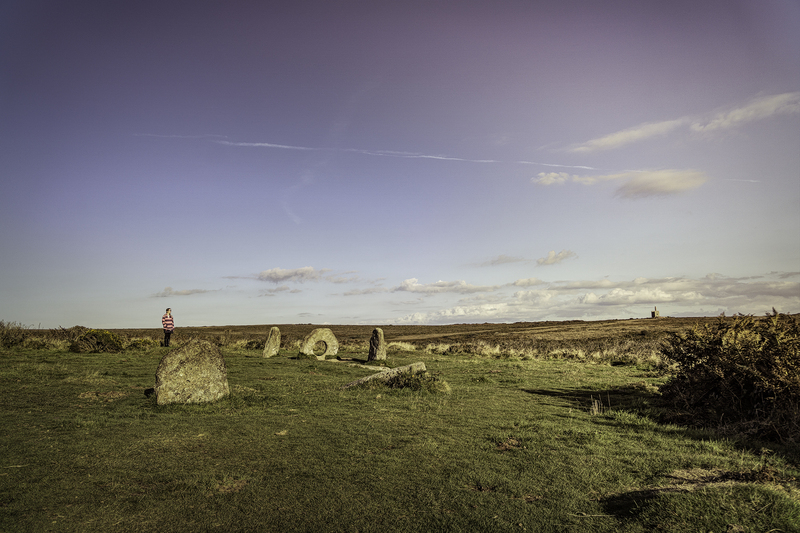 Day 3 – Chysauster, Merry Maidens, Sennen cove, Carn Galver, Lanyon Quoit at Full moon. 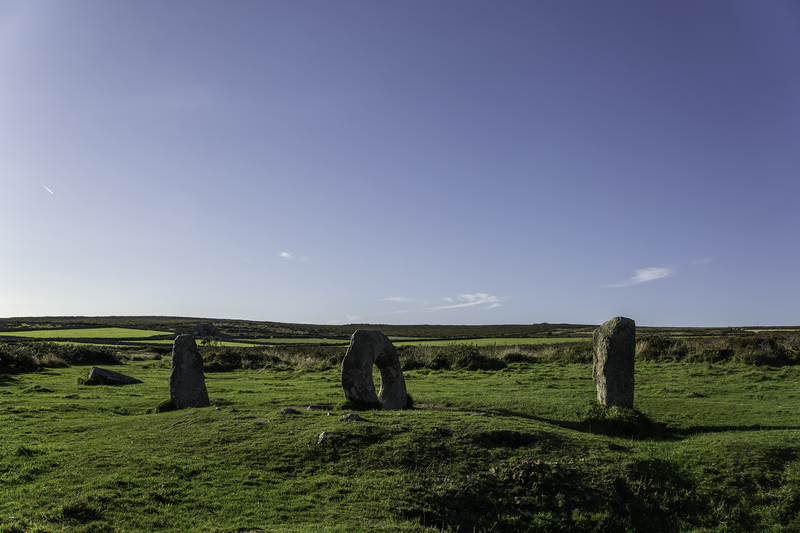 Day 4 – Morning view, Helston Folk Museum, The Lizard, Men-an-Tol, St. Ives evening and night [152 Photos]. Cornwall – FRIENDLY FRIDAY PHOTO CHALLENGE – Inspiration. I’d love to see (and hear) your tips for staying creative. What do you do when you lose your mojo, how do you get it back? What inspires you to blog, make photos, write stories, paint? Tell your story with a photo. 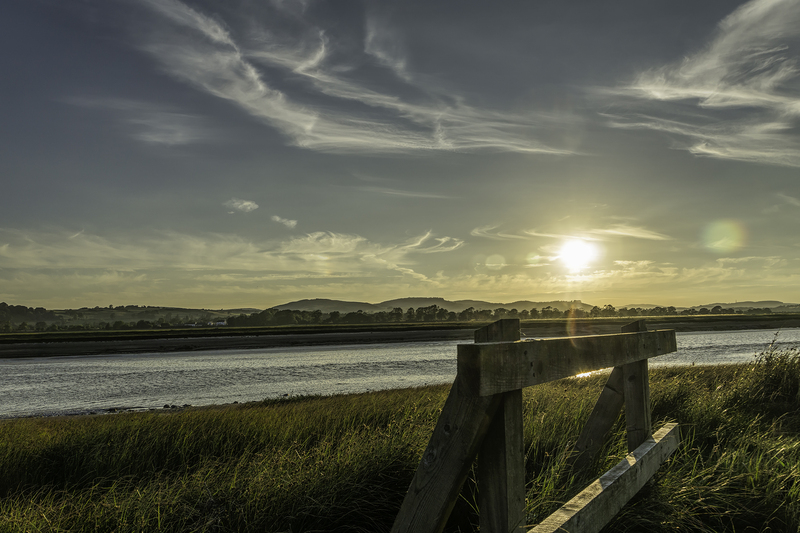 Those of you who follow my blog will know there are a lot of photos of Cornwall. It is not simply that we like holidaying in Cornwall, it is an inspirational place, and our batteries recharge while we are there. For WordPress Challenges where possible I always like to use photos from the current set I am working on – the inner challenge – not always possible, but in this case I do happen to be editing a set of pictures from our trip to Cornwall in September. So here are a couple for you. A 3 photo stitch of the Lizard. A shot of the magical Men-an-tol. And a 4 photo stitch of Porthgwidden beach at dusk in St. Ives. This weeks WP photo challenge is that of ‘circle’ – so here are two photos of what is probably one of my favorite ‘circles’. Other entrants to this weeks challenge can be seen here. 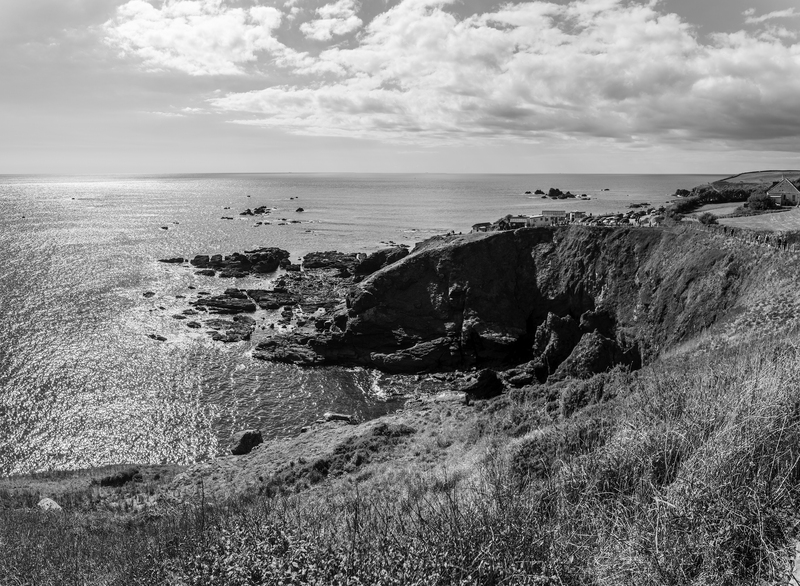 Normally upon seeing this weeks B&W photo challenge title from Cee, that of “WHAT IS BEAUTIFUL TO YOU“, I would have been rushing off to find photos, of Megaliths, Flowers or beautiful landscapes. Indeed I thought of posting some of those things. However those of you who know me well, and/or are friends on Facebook will know that this week my wife Karen has been in hospital with appendicitis. So I thought I would post one of my favourite photos of her, and indeed a photo she herself is happy with, which is no small feat. This was taken on our first digital camera, a DiMAGE Z3 in 2009 at Men-an-tol in Cornwall. So ‘What is beautiful to’ me – Life, friendship, companionship and love. To see other entrants to this competition visit Cee’s page here. Thank you Cee for choosing me as one of your featured bloggers this week. Here are those other lucky featured souls.